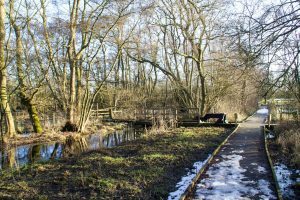 On Saturday 15th September, the Yorkshire Wildlife Trust (YWT) will be holding an open event for local residents to help save York’s oldest nature reserve; Askham Bog. Over the summer, developers announced plans to build 500 new homes on land adjacent to the Bog off Moor Lane in Woodthorpe, despite the fact that the land is earmarked as Green Belt in the emerging Local Plan. They organised a leaflet drop in the local area to promote their proposal, which has generated anger from residents concerned about the impact. Cllr Stephen Fenton at Askham Bog with Alastair Fitter and Louise Wilkinson from Yorkshire Wildlife Trust. 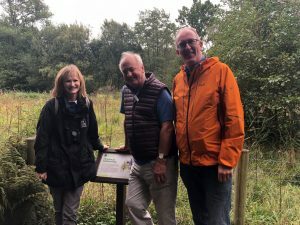 Sir David Attenborough, who visited Askham Bog in June 2016, described the nature reserve as a ‘cathedral of nature conservation’ and as important to the people of York as the Minster. The YWT is encouraging residents to visit Askham Bog on Saturday from 10am to 3pm, where they can learn more about the nature reserve and how they can help protect it. More information on YWT’s event can be found here: https://www.ywt.org.uk/events/help-us-save-askham-bog.